If you have had your property tested and your radon level is 4 picocuries per liter (pCi/L) or higher, Innovative Basement Systems can install a radon reduction system to reduce radon levels in accordance with American Society for Testing and Materials (ASTM) standards and the HUD Radon Policy. We offer radon testing and mitigation services for all multifamily dwellings, including condos, townhouses. and apartment buildings in St. Paul, Minneapolis, Fargo, Bismarck and surrounding areas. Call us at 1-844-256-8038 to request an inspection and radon mitigation estimate today! Installing a radon reduction systems in large buildings requires extensive knowledge of building codes and construction designs. Things like HVAC systems, stairwells, elevator shafts, and complex foundations must be considered. The most common radon mitigation system is Active Soil Depressurization, but we will work with you to determine the best radon reduction method for your property. With experience designing radon mitigation systems for multi-unit buildings, you can count on Innovative Basement Systems for effective reduction of radon levels and peace of mind. Once mitigation is completed, we will provide you with a certificate of completion and ensure that follow-up testing is completed. If your multifamily property has high radon levels, don’t wait to take action. 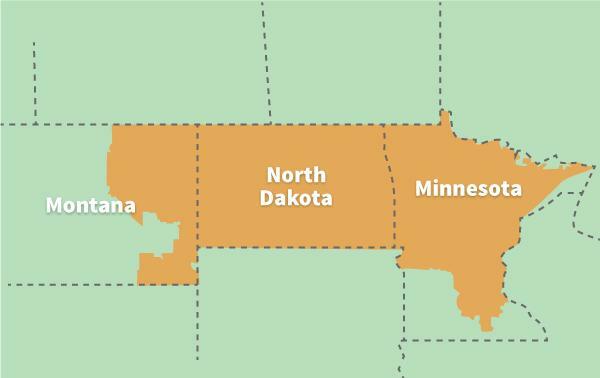 We are the local trusted radon professional in Eden Prairie, Saint Cloud, Bismarck, Minot, Anoka, Andover, Grand Forks and areas nearby. Contact us to get a free estimate to have a radon mitigation system installed.